Huh, at June 04th the 4th Meetup of the Office 365 User Group Hamburg happened. I’m still impressed by some of the attendees input and questions. But let me tell you about this times meetup first. This time we had a great talk by Dennis Bappert from HanseVision, part of Bechtle AG, in Hamburg. 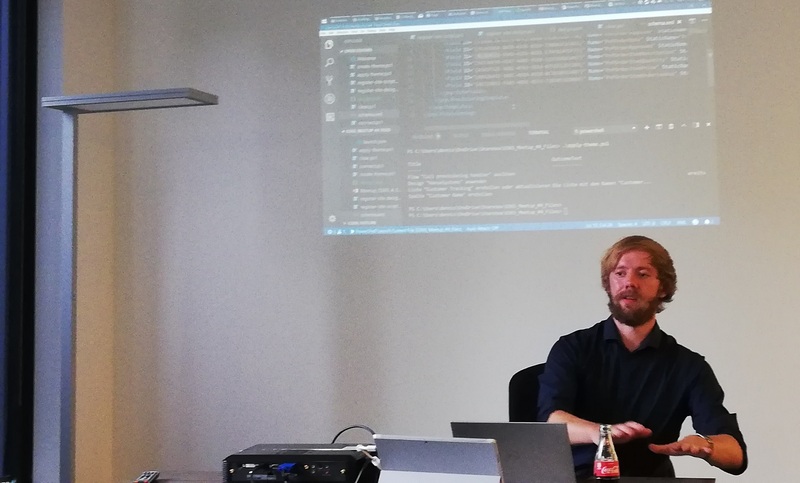 Dennis did a talk on modern sharepoint site provisioning, explaining all the methods to manage site design and automation scripts that you may use to implement your custom design options. As a second talk I did a short introduction on the MIcrosoft Graph, what it’s good for, how to start using Graph API and the services where you can use Graph together with some limitations. 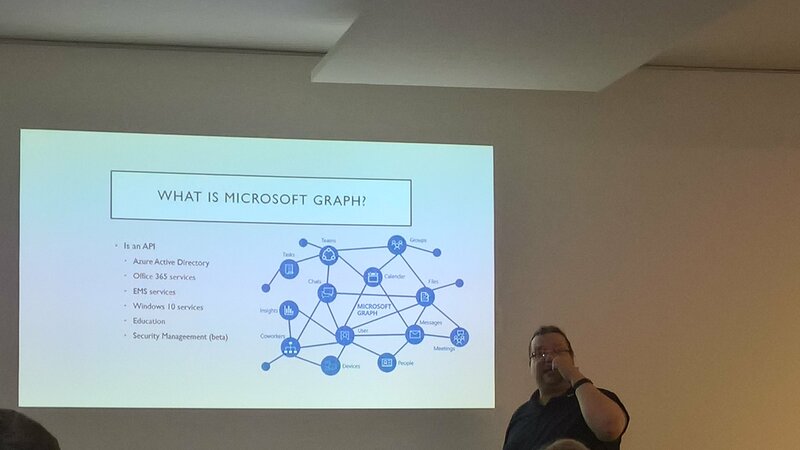 As some of you may already know, Microsoft recommends to use Graph API when available instead of still using the older Rest-based APIs for your products. I personally feel like now that Graph API is available and you can get more and more information by Graph, as a system engineer you may implement your custom cmdlets in Powershell (and other tools) instead of waiting for a Powershell package which may be shipped by vendors like Microsoft. This especially becomes interesting if you started using Powershell Core on non-Windows platforms and your favorite PS Snap-ins or existing modules are not available on this platform. Last but not least let me tell you about our Sponsor, akquinet AG. This time we went to a company based in Hamburg. While Microsoft is very good in sponsoring for rooms we like to tour across several IT service companies in Hamburg as this may lead to a more physical experience. You change your cloud experience where it becomes more physical and you realize that the cloud is already there around you at your place, and others are already doing it. Akquinet not only provided a room but also sponsored food and beverage, and they do not let themselves be ragged. They have gone up with a buffet and soft drinks and beer in abundance and you really felt like home, there. Let me say a big thank you for this, Akquinet. Sponsors like you rock! Some downloads are not available yet, usually we need 1-2 days for completing the list of files. If you joined yesterdays event, please feel free to provide a review command at our meetup forum or, if you prefer to do it a little bit more anonymously, fill out the feedback form here. We like to hear from you! If you feel like you can add value by presenting your project review or an interesting part of the Office 365 environment, technology or add-on products (preferrably migration or management tools for an Office 365 environment), please let me now and fill out the “Talk für die Office 365 User Group Hamburg einreichen” form (form is german language only).